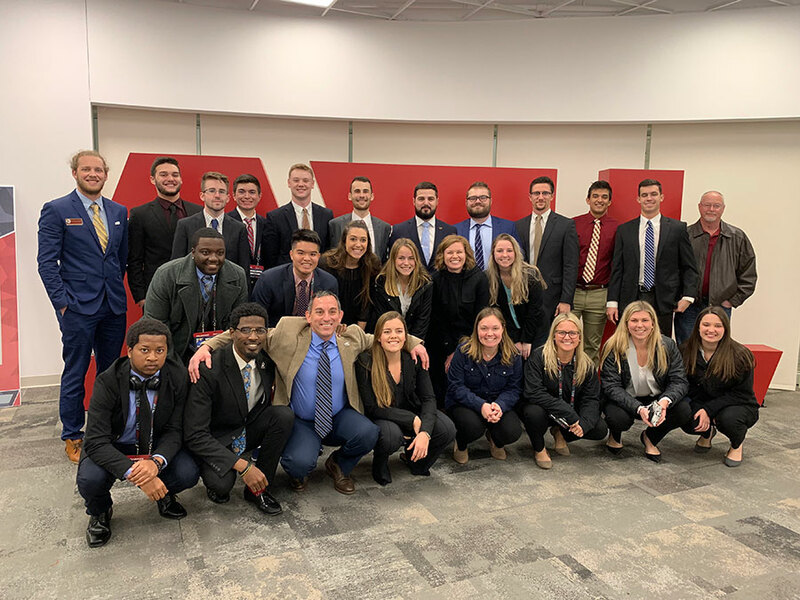 Florida State’s Sport Management program is one of the few programs invited to participate in the Super Bowl. Every year, millions of people tune in to the Super Bowl, but only a few get to experience professional football’s biggest game in person. 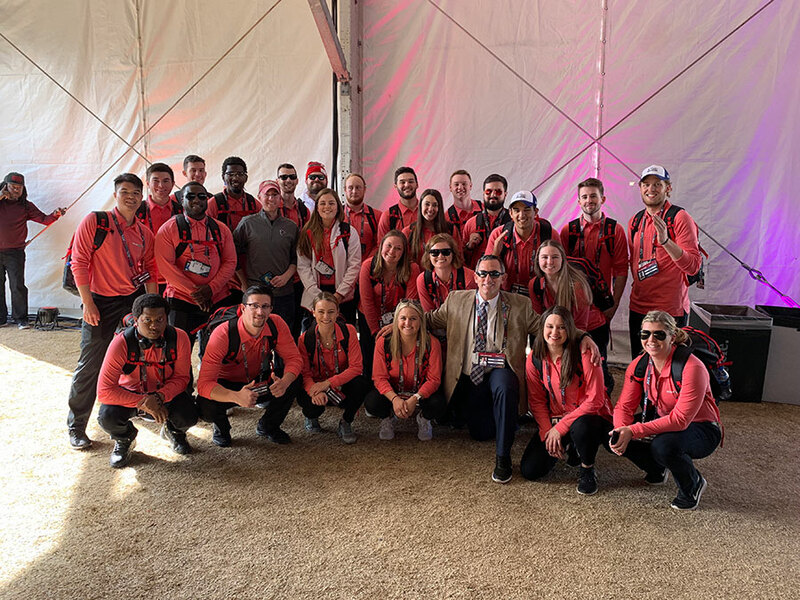 For students in Florida State University’s Sport Management program, the Super Bowl provided more excitement than anyone watching from home could imagine as they gained hands-on experience at one of the coolest networking opportunities of the year. 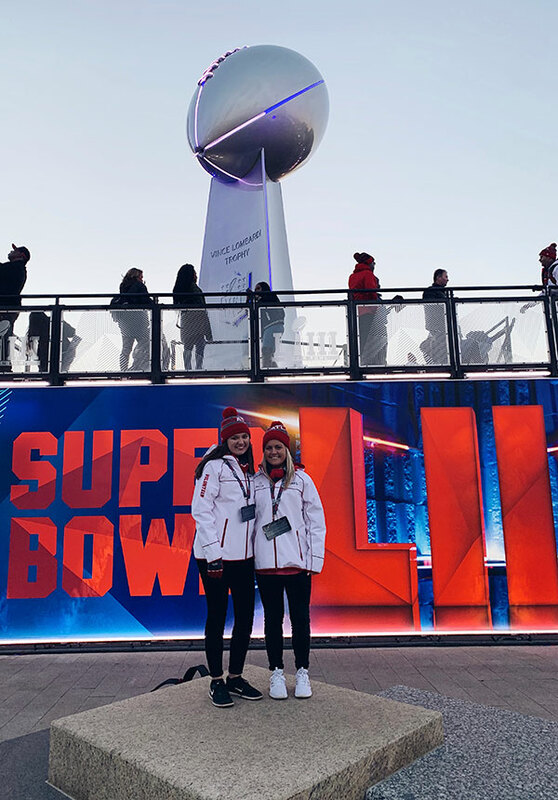 “Being able to participate in arguably the largest sporting event, and see it come to fruition, was truly a unique experience,” said Dillan Jeffries, a sport management master’s student. 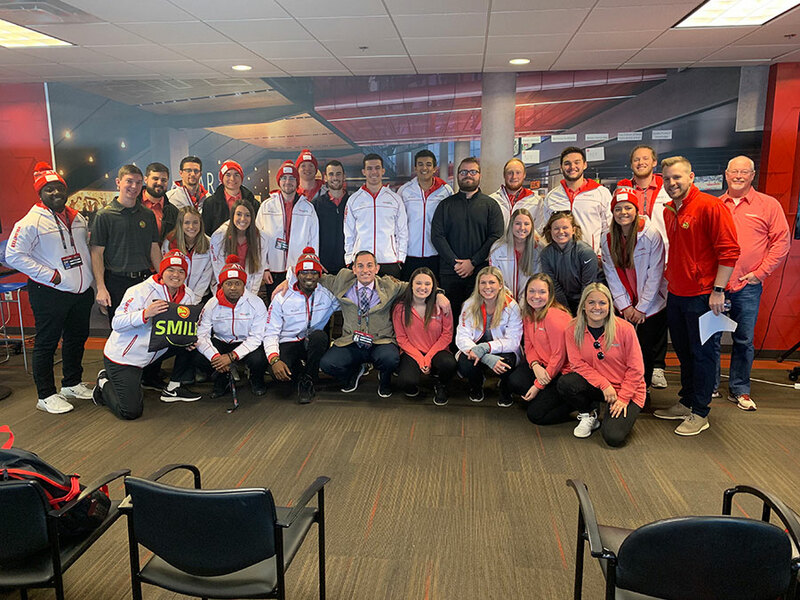 Experiences like this — and like the trip to the College Football Playoffs in January and the upcoming trip to the NCAA Women’s Final Four in April — are organized by faculty members like Jason Pappas who give sport management students a world-class education. 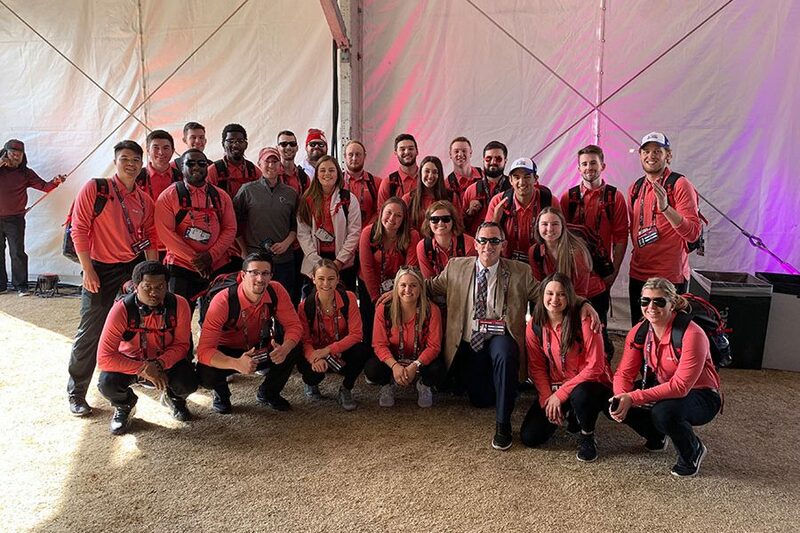 These events and people have also helped propel the FSU Sport Management program to the number one spot in the country. The Florida State students had a packed schedule and hit the ground running the moment they arrived in Atlanta. On the first day, students met with officials from the Atlanta Braves baseball team. 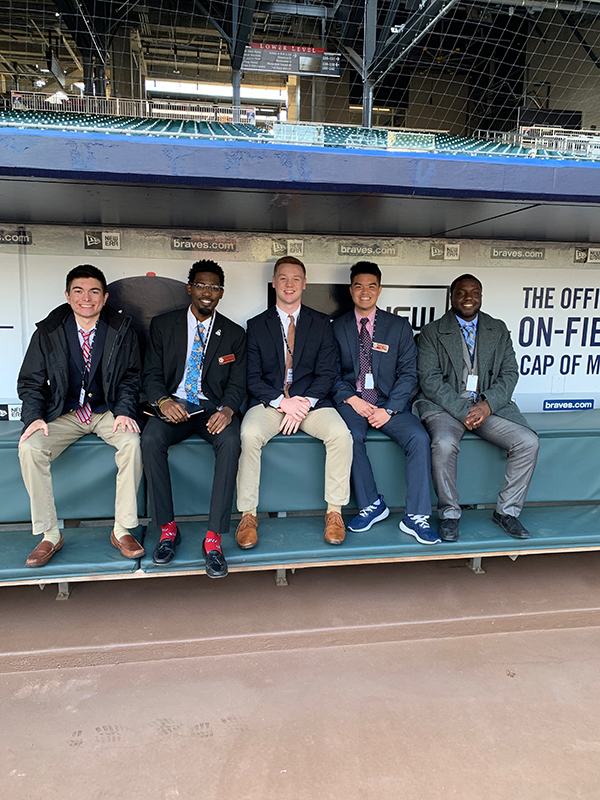 After enjoying a VIP tour of SunTrust Park, they learned about the behind-the-scenes operations of the Braves. Before they ended their day, the students picked up their gear from Team ATL, part of the host committee for the Super Bowl. On day two, students met with representatives from the Atlanta Hawks, where they participated in a Q&A and networking session. 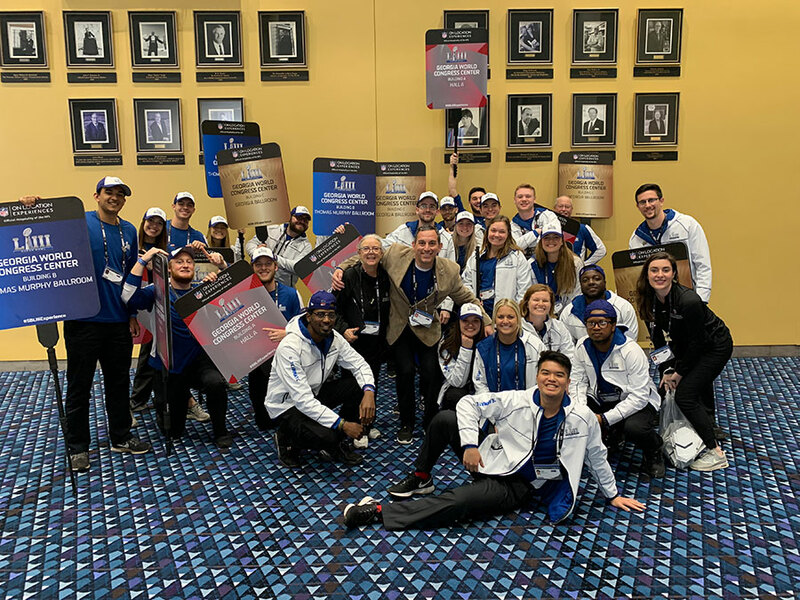 Some students worked at Team ATL events, others volunteered at a number of free events that took place around Mercedes-Benz Stadium, designed to encourage fan participation and drum up excitement for the big game. On day three, students worked with On Location Experiences, an NFL-partnered company that specializes in events and event production. Before starting their shift, students were treated to a special training session from a Disney representative. During this session, they learned tips about hospitality and how to improve the overall fan experience. 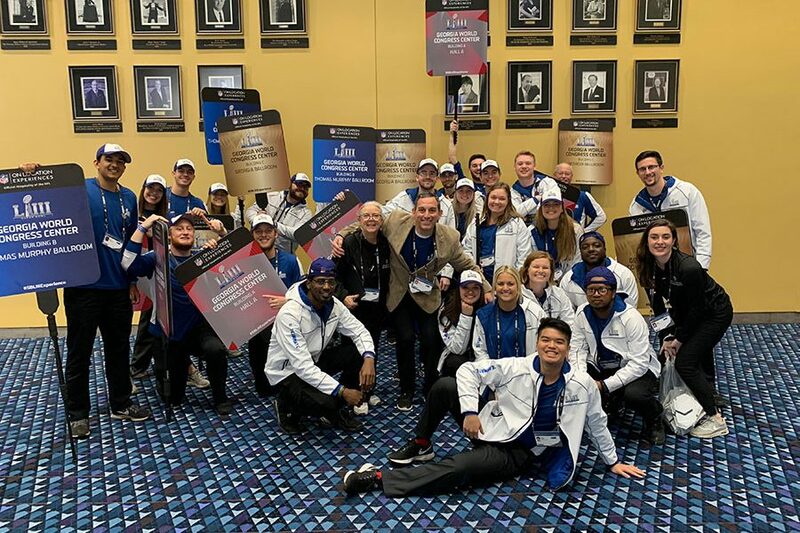 While the game between the New England Patriots and the Los Angeles Rams proved to be relatively uneventful as far as Super Bowls go, Florida State’s Sport Management students gained invaluable experience, learning the ins and outs of working one of the world’s biggest entertainment events. 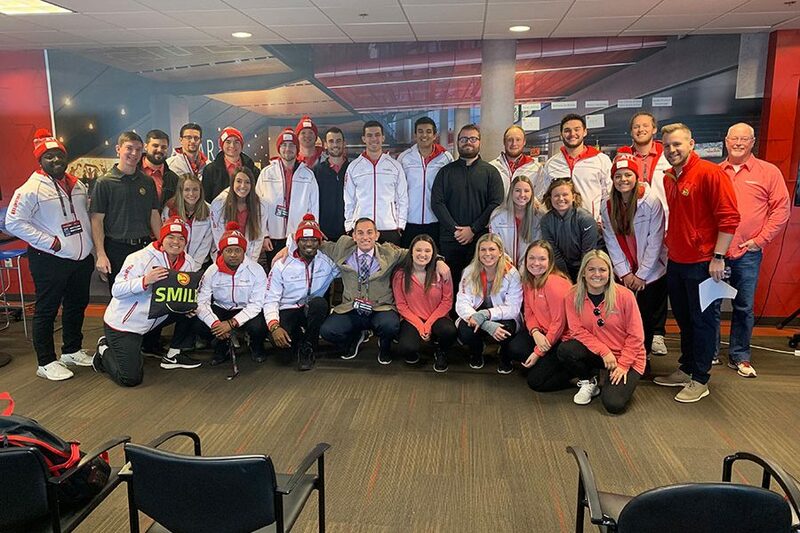 As part of the experience, students participated in helping visitors find what they were looking for, worked private events throughout the stadium and represented the host committee and its commitment to excellent customer service. Learn more about FSU’s Sport Management program at https://education.fsu.edu/degrees-and-programs/sport-management.